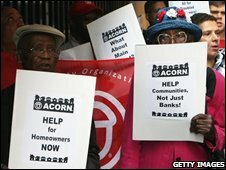 BBC NEWS | Business | Have bail-outs worked in the past? The US is pinning its hopes on a $700bn (£395bn) bail-out of the banking sector. The plan's supporters argue that it is important to bail out banks - as opposed to other failing industries - because of the knock-on effects a bust bank can have on the economy. Banks can also fail for irrational reasons, which non-financial companies are less likely to do. You would not have a run on a carmaker, for example, while a perfectly sound bank could fail just because its customers panic and all ask for their money on the same day. Bail-outs are not new and there are plenty of examples of successful and unsuccessful bail-outs, both inside and outside the financial sector. Many offer parallels with the current situation. The airline industry faced collapse after the terrorist attacks of 11 September. Carriers faced immediate problems when a flying ban was imposed and people were afraid to fly. The US government provided compensation. But once flights resumed, the airlines faced a problem that is now familiar to banks: they could not get credit. The government set up the Air Transport Stabilization Board to provide up to $10bn (£5.66bn) in loan guarantees. "The bottom line is that the programme did its job," says Professor Leighton Vaughan Williams from Nottingham Business School. "Taxpayers eventually made a profit of $300m," he adds. 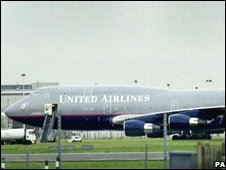 It was not an easy time for airlines and several such as United Airlines were forced to seek bankruptcy protection, but most of them survived. Bailing out or nationalising big manufacturers is not as popular as it once was. Advocates of bail-outs argued that if "a company had a strong future but was experiencing temporary difficulties, that would be solved by an injection of taxpayers' money," says Professor Naresh Pandit from Norwich Business School. "The idea was that the government could later withdraw, but it never did as planned." 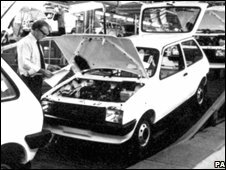 British Leyland was effectively nationalised with a cash injection in 1975 and, despite owning marques that still exist today, the company itself and the British carmaking industry never really recovered. Rolls-Royce was nationalised in 1971, a bail-out which worked better in the long run than the British Leyland deal. The company had run into difficulties due to cost-overruns in the development of its RB211 engine. It spun off its carmaking division in 1973, but the rest of the company remained in government control until 1987, when it was privatised. Rolls-Royce is now a successful company, but many people argue that it spent too long in government hands. "There is strong evidence that nationalisation leads to lower efficiency," says Professor Pandit. America's savings and Loans companies were similar to building societies in Britain and were often owned by their customers. The US Savings and Loan (S&L) crisis of the 1980s and 1990s was partly caused by institutions lending more money in home loans than was prudent and then getting hit by rising interest rates, which will sound familiar to observers of the current crisis. Fraud was also a big factor. The government set up the Resolution Trust Corporation (RTC) to take over the hundreds of failed S&Ls and try to sell their assets. "The bail-out cost about $300bn in today's money and when the RTC sold the assets, it made back about 80% of what it paid," says Professor Vaughan Williams. "To get back 80% on what were bankrupt assets could be called a success." Bailing out banks is certainly not a new idea, with the first US bank bail-out taking place in 1792. William Duer tried to corner the market in government bonds and depress the share price of the Bank of New York. His plan went wrong, causing market panic. 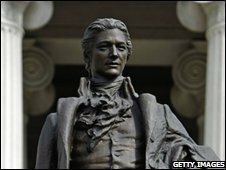 With the value of bonds collapsing, the first Treasury Secretary Alexander Hamilton told banks to accept bonds as collateral for loans, which were then underwritten by the government. He also borrowed money from banks and used it to buy government bonds. Prices recovered and all the banks involved survived. In marked contrast, President Andrew Jackson in the 1830s was widely blamed for bringing about the demise of the Second Bank of the United States when he refused to deposit tax revenues in it. The collapse of the bank was one of the causes of the Panic of 1837 in which the next president, Martin van Buren, refused to involve the government. Milton Friedman described the depression that followed as the only one comparable with the Great Depression of the 1930s.